Daniela Luminita Constantin is Full Professor of Regional Economics at the Academy of Economic Studies of Bucharest and the Director of the Research Centre for Macroeconomic and Regional Forecasting of this university. She’s also President of the Romanian Regional Science Association, Member of the Evaluation Committee of Romania’s Regional Operational Programme co-funded by the EU, Reviewer for International Journal of Services Technology and Management, Inderscience, Journal of Economic and Social Geography – Tijdschrift voor economische en sociale geografie (TESG), Wiley-Blackwell and Editor for International Journal of Environmental Technology and Management. Her main scientific interest concentrates on regional policies, regional convergence and competitiveness, EU structural assistance, migration, SMEs and entrepreneurship, environmental issues and human security. She carried out numerous research stages abroad as Fulbright, DAAD and Phare-Tempus scholar. 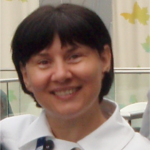 Daniela Constantin has authored or co-authored a large number of books and an article published in Romania and abroad and has participated in various national and international research project teams. Daniela L. CONSTANTIN & Raluca Mariana Petrescu & Claudiu HERTELIU & Alina IOSIF & Alina PROFIROIU, 2012. “The Services of General Interest in Romania: Legal and Institutional Aspects at National and Territorial Level,”ERSA conference papers ersa12p926, European Regional Science Association. Eduarda Marques da Costa & Pedro Palma & Daniel Rauhut & Alois Humer & Daniela Constantin & Xabier Velasco, 2012. “Indicators of Services of General Interest in EU regional context: between the need to measure and the lacking of their meaning,” ERSA conference papers ersa12p1114, European Regional Science Association. 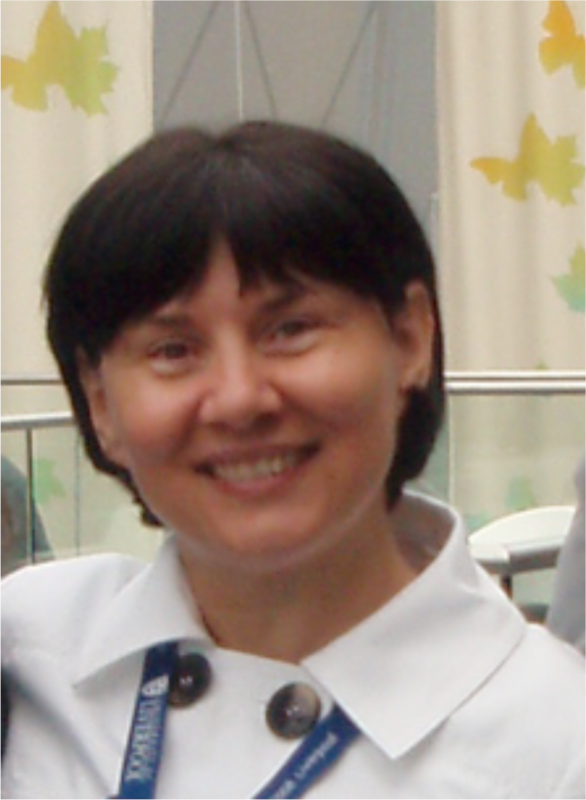 Daniela L. CONSTANTIN, 2012. “Middle Of The Road: Romaniaâ€™S Regional Policy In The Current Eu Programming Period,” ERSA conference papers ersa12p920, European Regional Science Association. Daniela L. Constantin & Constanta Bodea & Carmen B. Pauna & Zizi Goschin & Mariana Dragusin & Ion Stancu, 2011. “The Question Of Clusters In Less Developed Areas. Empirical Evidence From Romaniaâ€Šã„Ã´S Eastern Regions,” ERSA conference papers ersa10p1157, European Regional Science Association. Anca Dachin & Daniela Constantin & Zizi Goschin & Constantin Mitrut & Bogdan Ileanu, 2011. “The Capacity Of Urban Centres To Contribute To The Rural Development In Romania. An Inquiry From R&D And Innovation Perspective,” ERSA conference papers ersa10p1236, European Regional Science Association. Raluca Mariana Grosu & Daniela Luminita Constantin, 2013. “The International Migration in the EU. A Descriptive Analysis Focused on Romania,” Acta Universitatis Danubius. OEconomica, Danubius University of Galati, issue 9(4), pages 306-318, August. Daniela-Luminita Constantin, 2013. “Romania’s Regional Policy between the Current Realities and the Challenges of the 2014-2020 Programme Period,” Acta Universitatis Danubius. OEconomica, Danubius University of Galati, issue 9(4), pages 281-291, August. Daniela Luminiţa Constantin & Mariana Drăguşin & Raluca Mariana Petrescu & Alina Elena Iosif, 2012. “The Effective Management of Municipal Real Property. The Question of Services for the Business Use of Real Property,” The AMFITEATRU ECONOMIC journal, Academy of Economic Studies – Bucharest, Romania, vol. 14(Special N), pages 738-754, November. Daniela-Luminita CONSTANTIN, 2012. “The Regional State Aid Schemes As A Support To Sustainable Urban Development,” REVISTA ADMINISTRATIE SI MANAGEMENT PUBLIC, Faculty of Administration and Public Management, Academy of Economic Studies, Bucharest, Romania, vol. 2012(8), pages 126-132, June. Lorena BĂTĂGAN & Daniela Luminiţa CONSTANTIN, 2012. “The readiness of employees for the future society. Case study,” Theoretical and Applied Economics, Asociatia Generala a Economistilor din Romania – AGER, vol. 0(10(575)), pages 93-104, October.